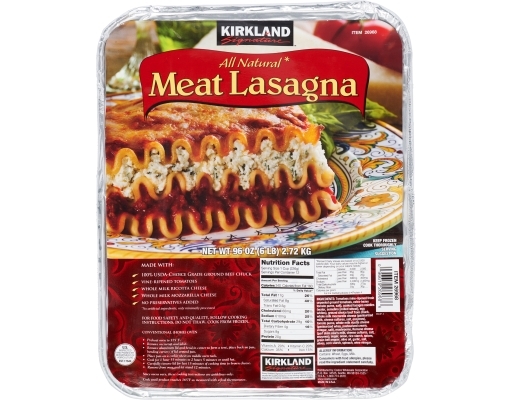 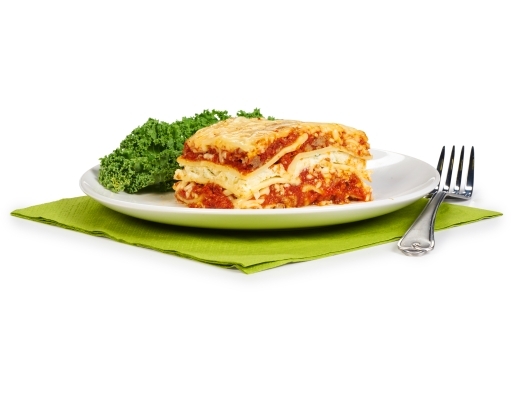 Made with hearty and wholesome ingredients, this Kirkland Meat Lasagna will surely be a crowd pleaser. 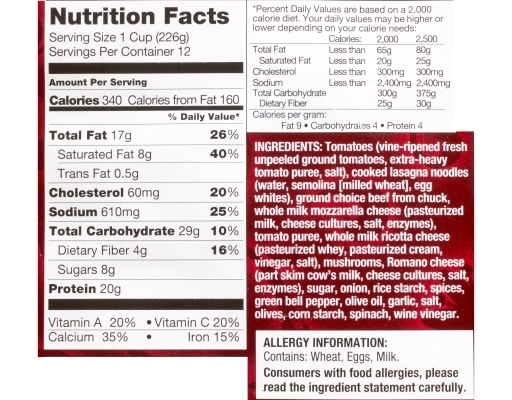 100% USDA-Choice Grade ground beef chuck layered with vine-ripened tomatoes, whole milk ricotta cheese, whole milk mozzarella cheese, no artificial ingredients. This is a dinner entree you will want to come back to again and again. Tomatoes (Vine-Ripened Fresh Unpeeled Ground Tomatoes, Extra-Heavy Tomato Puree, Salt), Cooked Lasagna Noodles (Water, Semolina [Milled Wheat], Egg Whites), Ground Choice Beef from Chuck, Whole Milk Mozzarella Cheese (Pasteurized Milk, Cheese Cultures, Salt, Enzymes), Tomato Puree, Whole Milk Ricotta Cheese (Pasteurized Whey, Pasteurized Cream, Vinegar, Salt), Mushrooms, Romano Cheese (Part Skim Cow's Milk, Cheese Cultures, Salt, Enzymes), Sugar, Onion, Rice Starch, Spices, Green Bell Pepper, Olive Oil, Garlic, Salt, Olives, Corn Starch, Spinach, Wine Vinegar.